Published in the Kansas City Star March 19, 2017. In the same year that California was admitted as the thirty-first state of the Union, and more than a decade before the start of the civil war, a grand house was being built in Lexington, Missouri. The year was 1850 and the address was 766 Highland Avenue. Corinthian columns frame the stately porch capped by a dramatic pediment. Last listed at $700,000, the seller’s auction reserve is only $390,000! The house would be witness to travel via the Santa Fe trail out its front door, and steam boating up the Missouri River out its back door. It would preside over Civil War battles and stand through two world wars. It would be home to families and a seminary school for girls. It would be expanded and modernized. And unlike so many historic homes, it would benefit from continuous care throughout its history. A new chapter for this iconic property will begin next month. 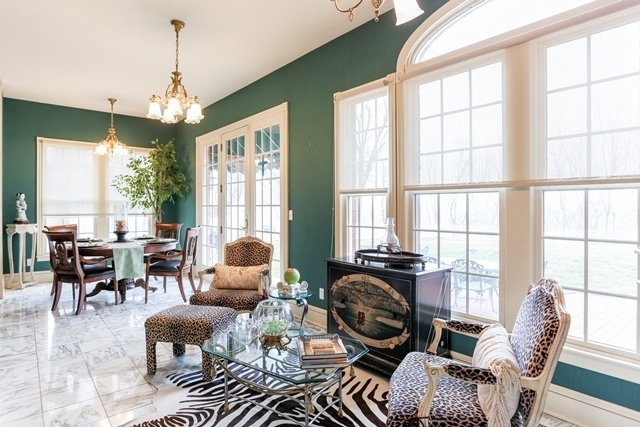 The home’s current owner is downsizing and moving so she hired North Kansas City based Cates Auction & Realty Company to sell the home and many of her fine furnishings at public auction. Founded in 1942, Cates Auction is celebrating its 75th anniversary. The company specializes in selling fine homes and other types of quality real estate at auction. Rick Bradford, sales agent with Cates, knew the home was special the first time he visited. “It’s stunning! The architecture is exceptional and the details throughout are gorgeous,” he said. The front elevation of the home is anchored by a stately porch with Corinthian columns supporting a dramatic pediment. Classically corbeled eaves complete the facade. 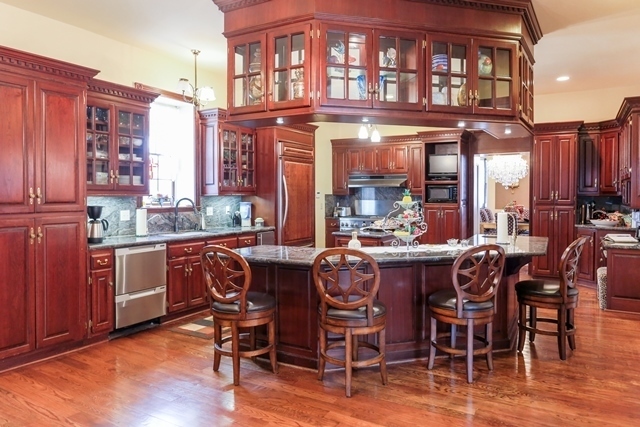 “When you drive up, there’s no question this home has an impressive pedigree,” says Bradford. 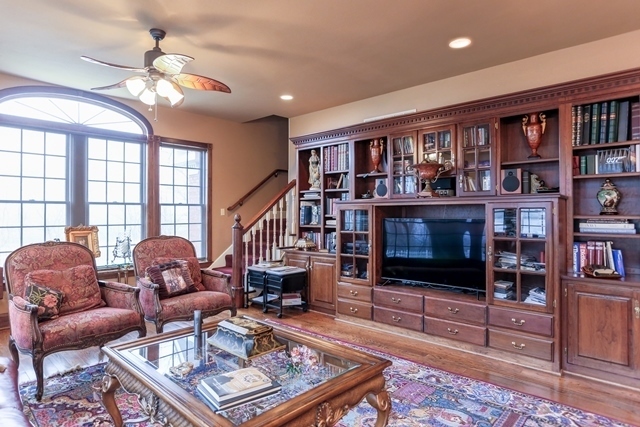 A dramatic two-story center hall flows through to well-appointed formal dining and living rooms, a handsome den/office, a gourmet state-of-the-art kitchen, a window-lined breakfast/sun room and a comfortable family room with built-in entertainment center. 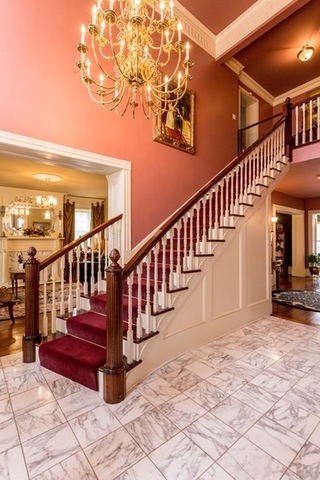 The gently curving main staircase leads to six spacious bedrooms, each with its own bathroom. 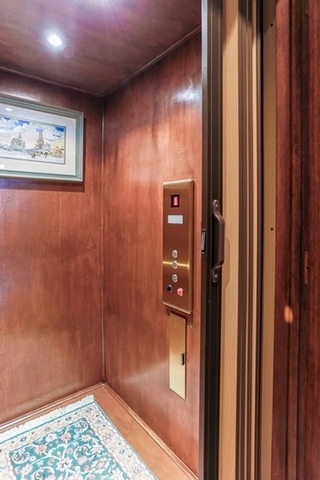 For convenience, there’s a second set of stairs and a wood-paneled elevator. Family and guests enjoy sweeping views of the Missouri River Valley. In addition to the elevator, other modern amenities not often found in historic homes include stainless steel appliances, surround sound, zoned HVAC, irrigation system, security system, and an attached three-car garage. Catrina Duncan, marketing coordinator for Cates Auction says she is enjoying working with such a stately and impressive property. And she’s quick to point out the very unusual opportunity for buyers, “Though the home was last listed at $700,000, auction bidding will open at the seller’s reserve of only $390,000! She set a low reserve and authorized us to publish it because she is willing to let competitive bidding determine the price. She’s committed to selling to the highest bidder over that amount.” The real estate auction will take place live onsite and live online on April 7th. 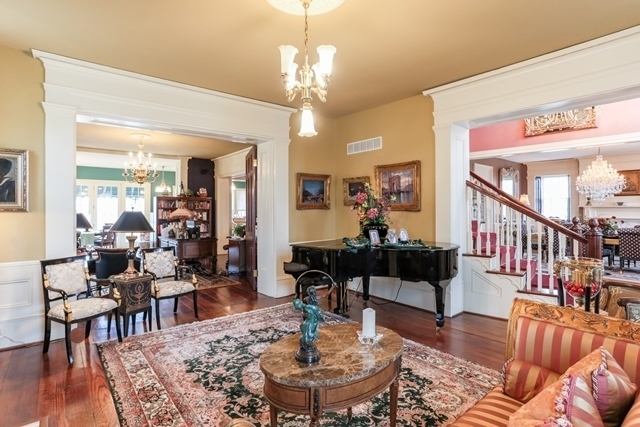 In addition to selling her historic home, the seller has also asked Cates to sell many of the furnishings and accessories throughout the property. Carrie Dilbeck, who manages Cates personal property auctions says it is a very special sale. 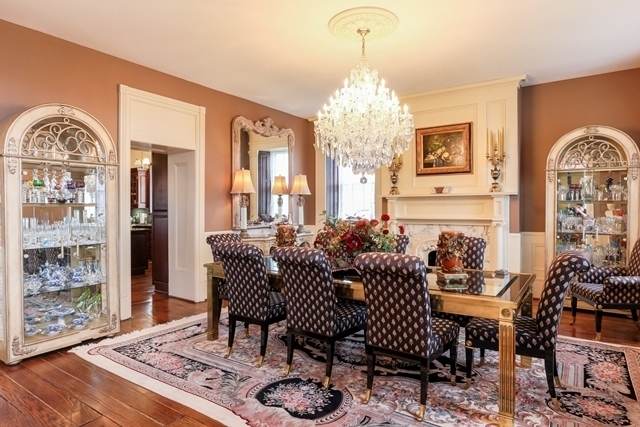 She explains, “Of course a beautiful home should be filled with beautiful things, but this seller worked hard to acquire the best and spared no expense accumulating exquisite designer and antique home furnishings.” The centerpiece of the home is a 30 lamp Austrian crystal chandelier. 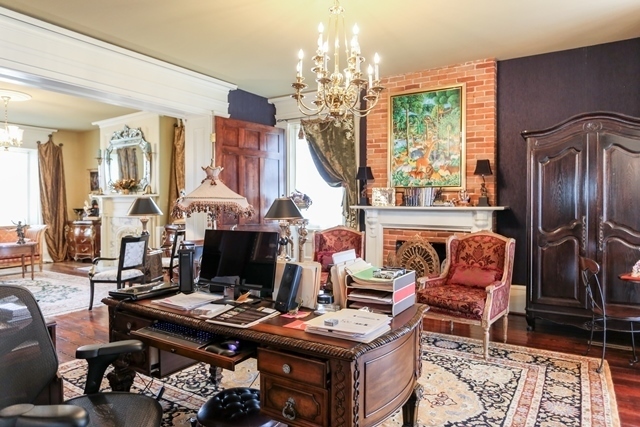 Other notable items include a baby grand piano with self-playing feature, Capodimonte porcelain, marble Hermes bust, original oil paintings, richly upholstered furniture, Bohemian glassware, and much more. All contents are catalogued and being sold in an online auction ending April 9th. The historic home was built in 1850 and expanded in the 1990s. It will be sold at auction April 7th. Bradford and other Cates staff will be hosting open houses for potential home buyers on three consecutive Sundays, March 12th, 19th, and 26th, from 2:00pm to 4:00pm. Onsite registration is required. Photo galleries, property details, auction terms, important documents and bidding links can all be found at www.CatesAuction.com/Lexington. Questions about the real estate and personal property auctions my directed to the Cates team at sold@catesauction.com or 816-781-1134. Pausing in the kitchen, Bradford reflects, “Walking through this exceptional home it’s hard to believe it was built the same year as the first public demonstration of ice being made by refrigeration!” There’s something you didn’t know about 1850. Thank You so much for all your hard work and speedy process on auctioning off our car wash. Not only did we get more than what we expected, you got it done in a fraction of the time that we had it on the market.